Sometimes numbers speak for themselves. 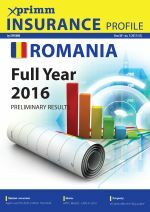 A 20% increase year on year in European currency at the end of 2012 stands out even in the most prolific of the industries. But these are just the facts when it comes to the insurance industry in Turkey. 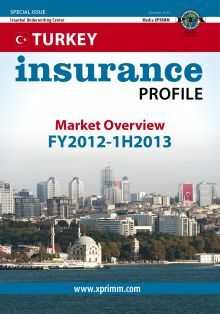 After the first half of 2012, numbers are once again the ones to confirm this reality, as 41 local and foreign insurance companies, battling it out for a piece of the ever growing pie, have boosted the Turkish market by another 13% (to a total of EUR 4.4 billion in the first semester of 2013). Still, impressive growth rates are just the peak of the iceberg. And gross written premiums reaching EUR 8.4 billion (in 2012) are a necessary but not sufficient argument for the attractiveness of the Turkish insurance market. A crucial fact, perhaps the most important one, remains hidden: the growth potential. The direct premium volume in the national GDP is 1.3 percent, which is relatively low compared with some of the more developed markets (where it reaches approximately 5 percent). At the same time, the value of premiums per capita has been constantly increasing over the past few years, yet it currently remains at EUR 111 (compared with more than EUR 2.000 in the Western world). Add to that the growing population of Turkey (~ 76 million) and one could understand why the insurance market in Turkey has to be taken into account. Thus, all the pieces vital for a profitable growth fall into place, as the insurance industry also benefits from the strong support of the Turkish government. The TCIP is “locked and loaded”, providing a safety net for insurers in the face of the most prominent Nat Cat risks, while reforms in other fields such as agricultural insurance and MTPL bodily injuries are already making an impact on the overall market. Last but not least, having mastered the western corporate culture, but keeping a close contact with the MENA and Caucasus regions, Turkey is quickly becoming the bridge between insurers looking to establish new partnerships and to find new ways to expand their business. That is why we believe that the facts and figures brought before you in this report will help to create a more accurate image of the Turkish market, the people who helped build this industry and the opportunities that lie ahead.